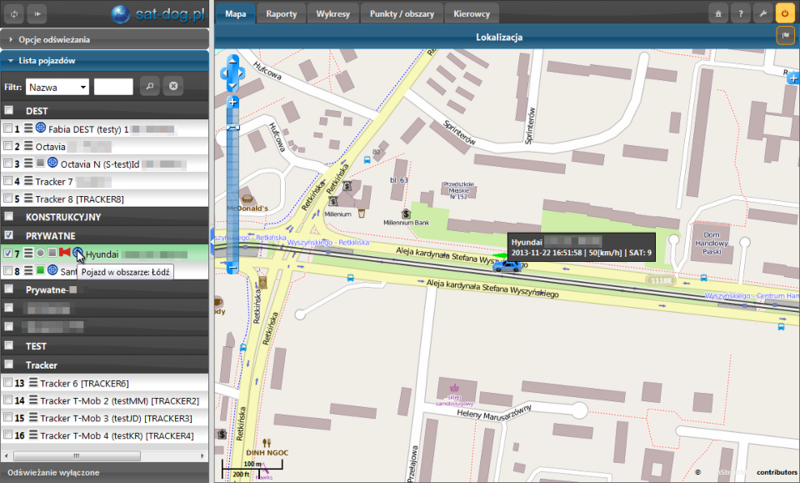 Sat-Dog is an advanced vehicle tracking solution, perfect whether you want to monitor your private vehicles or a whole fleet, wherever you go, 24/7. It provides detailed reporting, mapping and much more. The system consists of Sat-Dog module that is installed inside the vehicle together with various peripheries and Sat-Dog Software that collects and transmits the data from the module to our servers. You just have to log-in on our homepage and experience all the possibilities Sat-Dog has to offer for you and your company. Use the best reports on the market!